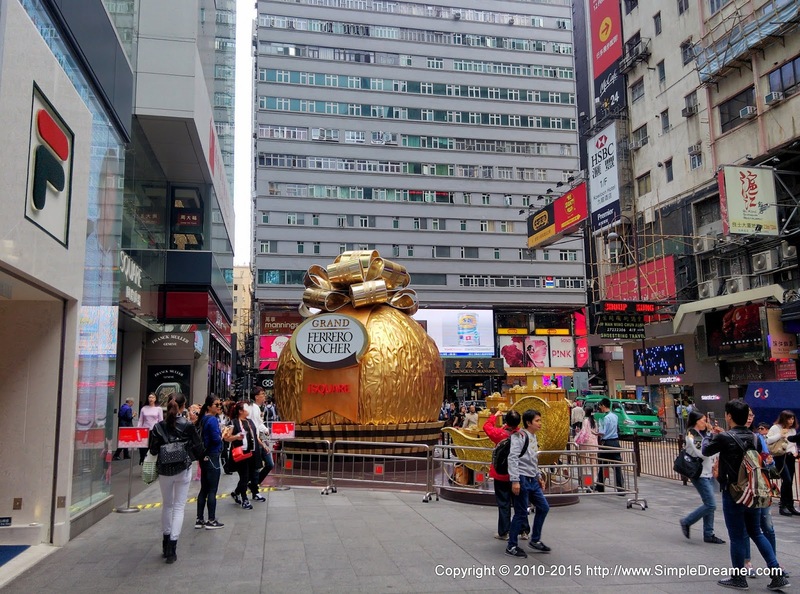 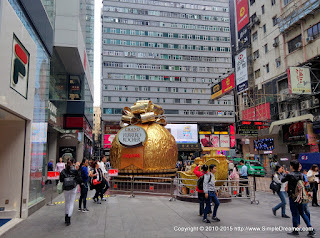 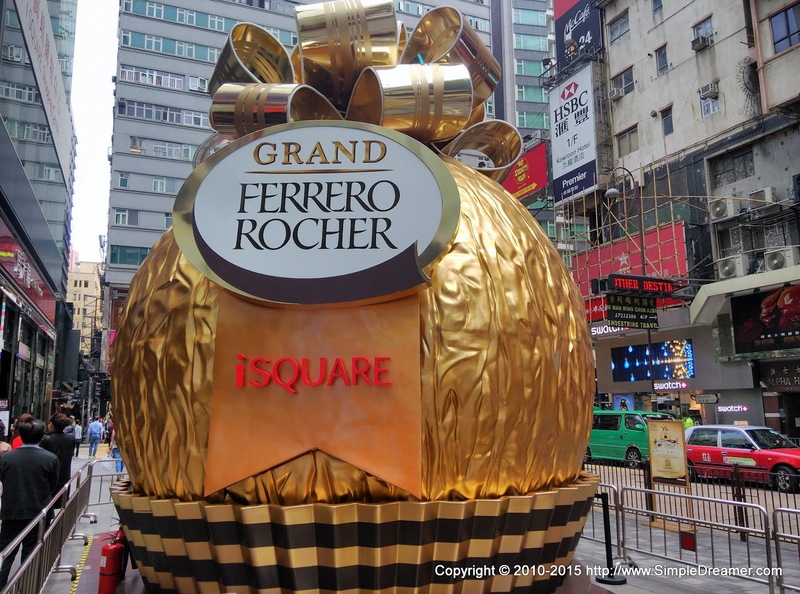 iSquare, one of the busiest shopping malls at the heart of Tsim Sha Tsui, offers plenty of photo opportunities to its visitors every Christmas. 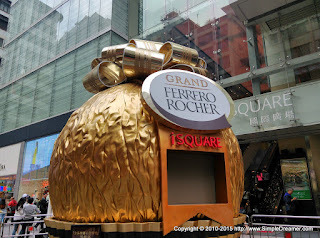 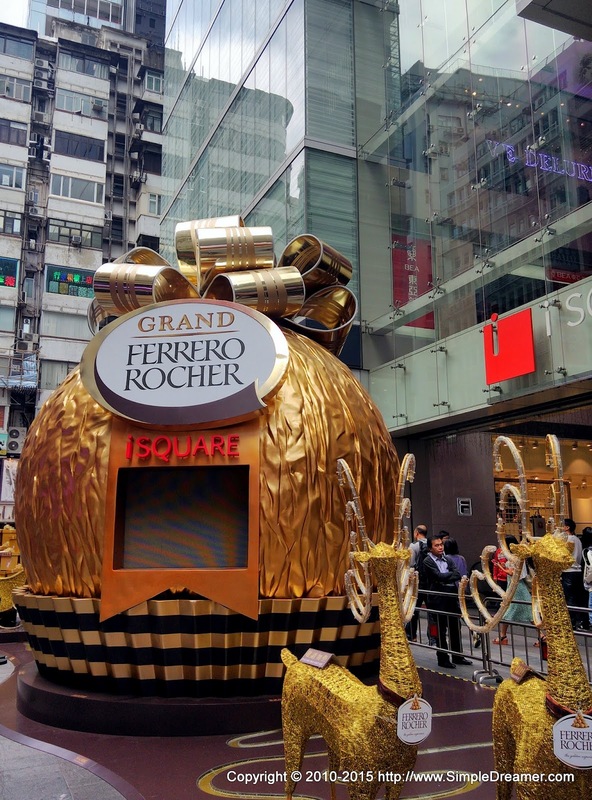 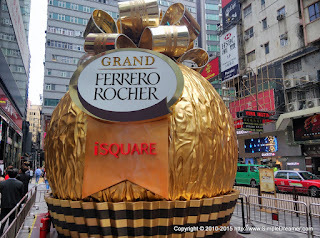 This year, they have placed a HUGE Ferrero Rocher at its front door! 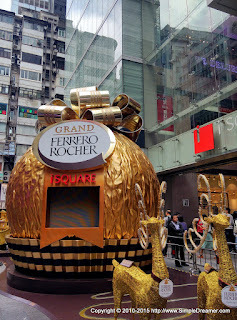 Isn't it sweet?